Why See Lyric Opera of Chicago - Luisa Miller? 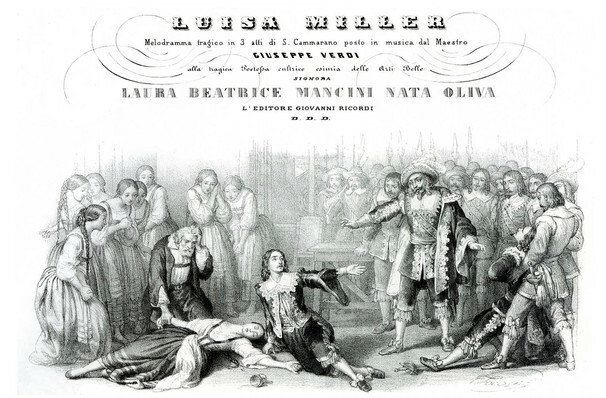 Verdi's exquisite melodies and sumptuous orchestral writing shine in Luisa Miller, his middle period opera in three acts. Directed by American opera and theater maker Francesca Zambello, the never-before-seen-in-Chicago production forms part of the Lyric Opera's hotly anticipated 2019/20 season and stars Bulgarian soprano Krassimira Stoyanova as Luisa and Maltese tenor Joseph Calleja as Rodolfo, the ill-fated lovers at the center of drama-filled, tumultuous storm of an opera. Set in The Tyrol, a historic region in the Alps in the 17th century, the twisting and turning tale follows Luisa, daughter of retired soldier Miller and her lover Carlo. Miller disapproves of Carlo, a man he perceives to be a stranger, but upholds his daughter may marry any man she chooses. He tells the courtier Wurm as much, but vying for Luisa's hand, he reveals Carlo's true identity to be that of Rodolfo, son of Count Walter, a cataclysmic play that ends in tragedy. Seen Lyric Opera of Chicago - Luisa Miller? Loved it? Hated it? Sound good to you? 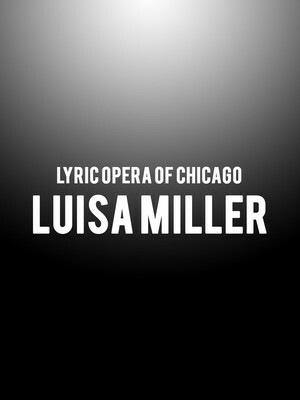 Share this page on social media and let your friends know about Lyric Opera of Chicago - Luisa Miller at Civic Opera House. Please note: The term Civic Opera House and/or Lyric Opera of Chicago - Luisa Miller as well as all associated graphics, logos, and/or other trademarks, tradenames or copyrights are the property of the Civic Opera House and/or Lyric Opera of Chicago - Luisa Miller and are used herein for factual descriptive purposes only. We are in no way associated with or authorized by the Civic Opera House and/or Lyric Opera of Chicago - Luisa Miller and neither that entity nor any of its affiliates have licensed or endorsed us to sell tickets, goods and or services in conjunction with their events.